Attention performance artists! Apply for an all-expenses paid residency to Sri Lanka! 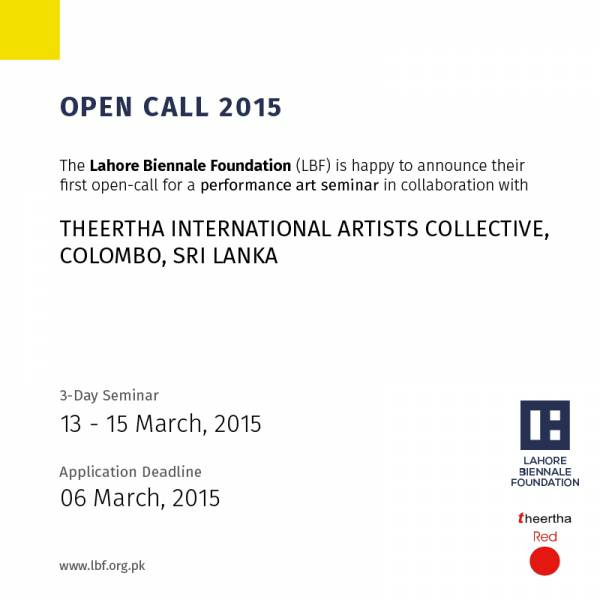 Lahore Biennale Foundation announces open calls for a performance art seminar in collaboration with THEERTHA International artists collective, Colombo, Sri Lanka.